So you find out you are pregnant and you celebrate with your families and close friends… then comes the overwhelming load of information from friends and family on what to do next. Nursery! Last-minute vacay! Who to tell next! Baby names! It’s natural to start thinking of your future baby but don’t forget yourself too. Here are some things that you should take care of before you go into all-about-baby mode! Baby’s Clothing Advice… and why I’m a Hypocrite. Over the course of my pregnancy, I had received advice from many friends. Some advice was well received and some I brushed it off. Now with some colleagues expecting, many had turned to me for advice. But I’m not one to sound off my thoughts, oh, who am I kidding, I love to rant. Looking back, there was one piece of advice I wish I followed but did not and is slightly regretting it. Buying baby clothes – everyone will tell you this – Don’t invest too much in baby clothing. You will receive them as gifts. You will receive a lot! Especially if you are having a baby shower, you can count on guests that are parents to give you useful items that they know it’s useful. You can also count on non-parents to give you the ‘safe gifts’ such as clothing, bath towels , blankies, plushies and gift sets. I didn’t take this advice seriously. I still bought clothing because a) it was on sale and b) it was too cute and I couldn’t resist. In the end, I realized that the first few months, Little Patch wore mostly onesies and sleepers. His ‘cool street clothes’ were worn about 3 times at most. Also, if you are inexperienced in buying baby clothing, you will tend to overspend on your first shopping trips. And I don’t mean overspending as in buying Burberry Kids (unless you named your child Hollingsworth IV). I thought I got a sweet deal at the Gap when I bought a pack of 3 long sleeved onesies for $16 (originally $25) thinking that $5 each is not so bad. Then the next day, I went to Old Navy and saw that the same onesies were for $12. Now, I can tell you that you can find it for even cheaper! Don’t bother with pants in the first few months, especially denim. They are hard to put on and you will eventually give up putting pants on your baby after the 3rd diaper change of the day. Babies do not need shoes. Yes, they are cute but baby’s shoes are over priced and unless your baby is a child-athlete prodigy that can already walk on his own by 6 months, just leave the shoes out. I know, some shoes are just too cute but even if you put it on the baby, he will eventually kick it off wherever he is. I find that shoes and socks are too restricted so I buy little booties (they look like a little sack for the feet, much looser than socks) instead. I have to admit that even giving out such advice, I will still buy Little Patch’s clothing knowing that I will regret it… especially if I’m at the Carters or Osh Gosh outlets. Along with many vitamins, an omega 3 fatty acid known as DHA found in fish and walnuts is essential in your pregnancy diet. 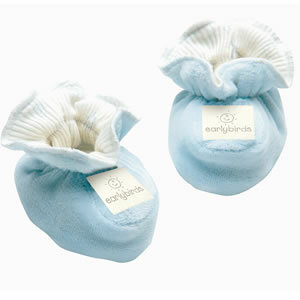 This is good for the development of your baby’s brain, eyes and nervous system and YOU. If your baby is not getting enough DHA, s/he will start sucking the DHA out of you! I rarely had time to cook a meal that contains enough DHA but I prefer to get my vitamins through food rather than supplements so I found a local dairy farm that carries products that contain DHA. While I was pregnant, there were many things that I couldn’t eat. The foods that I couldn’t eat, regardless of whether I liked it before or not, became my cravings. I had a lot of caffeine and sugar in the form of starbucks lattes, pop and teas when I wasn’t even a coffee drinker before I was expecting. No Joke! Some say… it’s Chinese Customs! What’s a better post on April Fools’ Day than writing about Chinese customs that my Chinese friends and I have heard! The Chinese have a lot of customs when it comes to almost everything. These are some of the customs that I’ve heard of or have to follow. There are many variations to these customs… many of them I find are quite amusing! do not sit cross-legged or reach up as the umbilical cord can strangle the baby. So how does this work for mothers that practice yoga? leave the room if your husband is hammering or moving the furniture or your baby will be born with dents on their face. I suggest the opposite if you want your child to have dimples! drinking chicken-wine soup, basically cognac and silkie chicken (black chicken) – Delish! do not consume cold drinks! having a one month or 100 day celebration of your baby. This used to be a tradition that applies to baby boys only but nowadays, parents would celebrate regardless of gender. It’s a good feeling to walk away with purchases knowing that you’ve got a deal on something that you actually need. It’s better when they are new and unused! I went to my first ever Swap Meet today. 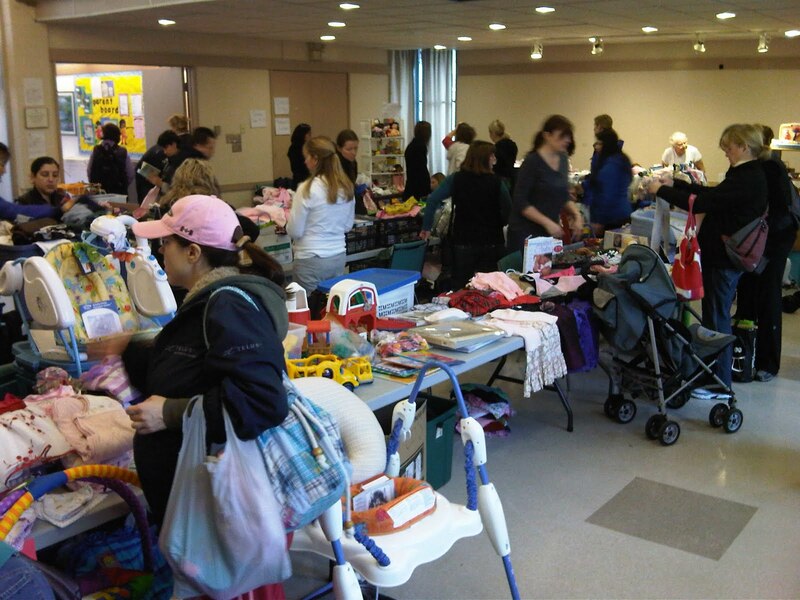 It is a baby swap meet at the Poirier Community Centre in Coquitlam. We picked up another couple on the way there and met a 3rd couple with a kid there. The meet was much bigger than I expected, I was expecting it to take place in a small gym, but the entire community centre (5 rooms and hallways) was packed with tables including outside. I’ve never been to a swap meet before and the thought of buying used baby items was not that appealing to me. However, if you’re saavy enough, you can walk away with some great items. We saw a bassinet that was all yucky and yellow with filth though. That was pretty funny, and no, we didn’t buy it. I’m talking about double leg cramps… obviously, not the experience of ripping off your ex-husband. Since my 2nd trimester, I’ve been having the occasional double leg cramps in the middle of the night. They’ve been bearable and I managed to suffer silently and wait until the cramp subsides and fall asleep again.